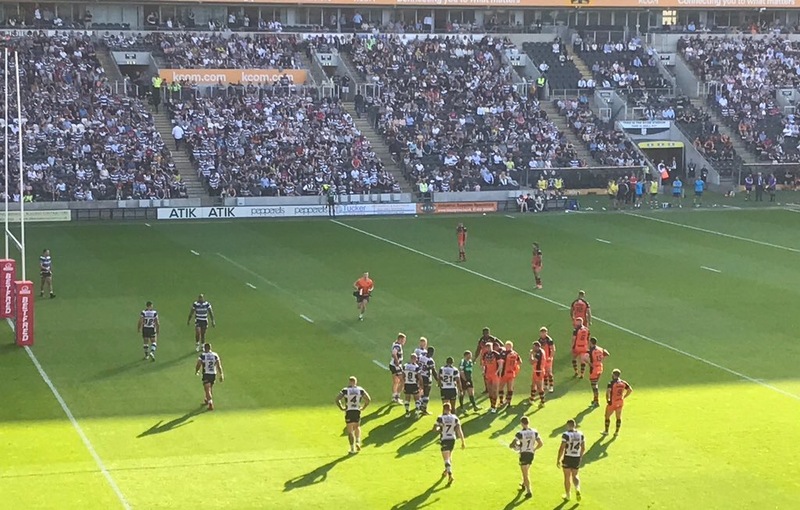 While last weekend’s Derby didn’t quite go to plan, all is not lost despite what a small faction of Hull FC ‘fans’ may say. There’s plenty of to be upbeat about even in defeat. In fairness, the Airlie Birds gave a good account of themselves in difficult circumstances. Plus the Dobbins need something to crow about; It’s their cup-final, right? Danny Washbrook had a hand in two well-worked tries on the evening. Based on that, he’s warranted a spot on the bench this evening, in my humble opinion. Other areas of positivity included the Black and Whites’ impressive goal line-defence and the liveliness of Marc Sneydddd on his Super League return. Spare a thought for old-man McGuire, who was swatted away by the equally impressive Bureta Faraimo. Masi Matongo was probably the stand-out forward on the night with a ferocious display. Now all you cynics will be suggesting this is all a bit too rosy; yes it was a defeat to the old enemy but one game is ultimately all it was. Game Management may have been lacking at times but here are few reasons to be confident ahead of tonight’s clash. 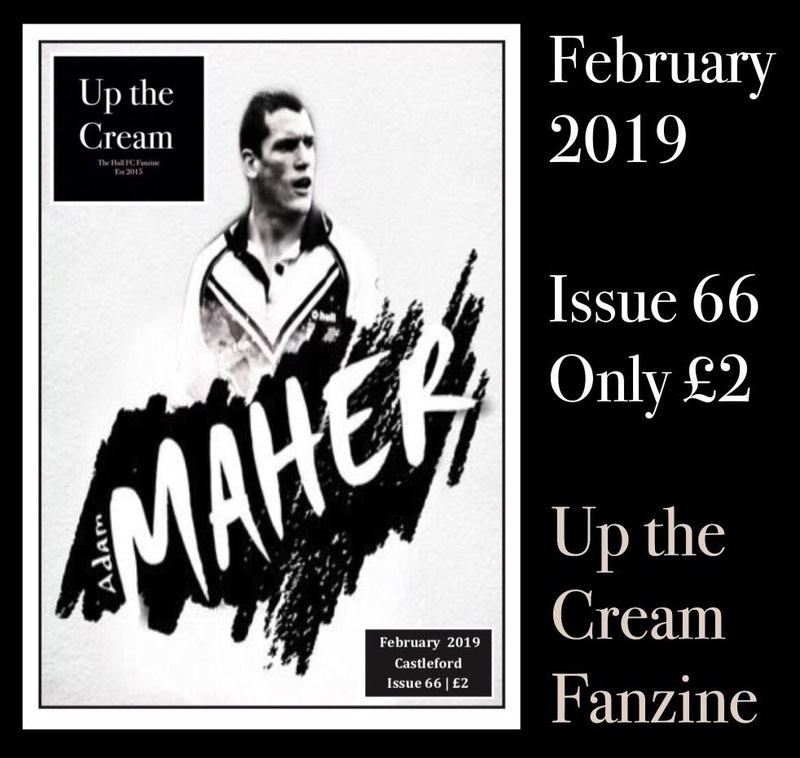 Hull FC love him, the opposition loathe him but one thing is for certain; when he’s on the pitch, anything can happen and it inevitably will. We saw just how good he can be during autumn’s international series. While him and Sneyd haven’t played together recently, having a runner and a creator in the halves means the Airlie Birds are destined to be more potent against the Tigers. Let’s hope he can stay out on the field. I love his attitude but it’s not wise to make a name for yourself in this league. I won’t lie when I say I was sceptical on hearing of Westerman’s return to the club. A few dazzling appearances prior to a cruel knee injury allayed my initial fears. He’s an incredibly gifted player that importantly offers something different in the forwards. Just ask Cas fans, they’ll remember him fondly from his younger playing days in the halves. After a shaky start, Matty Dawson-Jones really came into the game against the Dobbins. He took his meat pie well and looks like a shrewd acquisition before an injury late on put him in a lot of pain. That said, aren’t we all begging Radders to unleash the rowdy Frenchman? I know I am. He is so exciting to watch, even on the wing. With an injury to Dawson-Jones, it’s Miloudi’s chance to shine. Let’s hope he keeps his head in check. Finally a little perspective, it’s Round 2 folks! Players are getting up to speed, returning to fitness while some are already suffering from fitness woes, you only have to look at Luke Gale’s issues to support that statement. While last week demonstrated that Radford probably does need to see a little bit more from certain players, we have to put faith in our Coach that he knows exactly how to do this. Afterall, he’s probably still assessing what his strongest combos are going to be. Cas are quality opposition but there’s no need to fear them. The Airlie Birds comfortably beat them last year and it’s a first home game; time to add two points to the win column. Hull Squad: 1. Jamie Shaul, 2. Bureta Faraimo, 3. Carlos Tuimavave, 4. Josh Griffin, 7. Marc Sneyd, 8. Scott Taylor, 9. Danny Houghton, 12. Mark Minichiello, 13. Joe Westerman, 14. Jake Connor, 16. Jordan Thompson, 17. Matty Dawson-Jones, 19. Masimbaashe Matongo, 21. Sika Manu, 22. Jordan Lane, 23. Mickey Paea, 27. Hakim Miloudi, 28. Jez Litten, 30. Danny Washbrook. Castleford Squad: 1. Peter Mata’utia, 2. James Clare, 3. Greg Minikin, 4. Michael Shenton, 5. Greg Eden, 6. Jake Trueman, 8. Liam Watts, 9. Paul McShane, 10. Grant Millington, 13. Adam Milner, 14. Nathan Massey, 15. Jesse Sene-Lefao, 16. Junior Moors, 17. Alex Foster, 19. Ben Roberts, 21. Mitch Clark, 25. Tuoyo Egodo, 29. Jacques O’Neil, 32. Jordan Rankin. Hull welcome back both Jake Connor and Joe Westerman, but lose Dean Hadley to an abdominal injury. Hadley joins Albert Kelly, Fetuli Talanoa, Lewis Bienek, Liam Harris, Josh Bowden, Chris Green and Matty Dawson-Jones in the treatment room. Castleford are of course missing Luke Gale, with Mike McMeeken, Oliver Holmes, and Matt Cook also out for Thursdays clash. Joe Westerman – The loose forward is going to add so much to our attacking shape on his return. Can’t wait to see him back out on the field. Dan – It’ll be close but I’m backing Hull by 4 points.